White Mulberry - Leaf, chopped There is 1 product. Mulberry leaf is a source of carbohydrates, fiber, vitamins and minerals such as iron, potassium, and calcium. 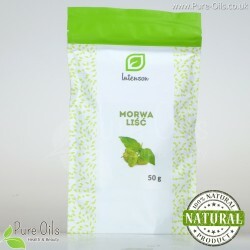 In addition mulberry leaves contains flavonoids which have antioxidant properties.